Today it is quite late, but this day, I have to document immediately, otherwise I might forget something important. 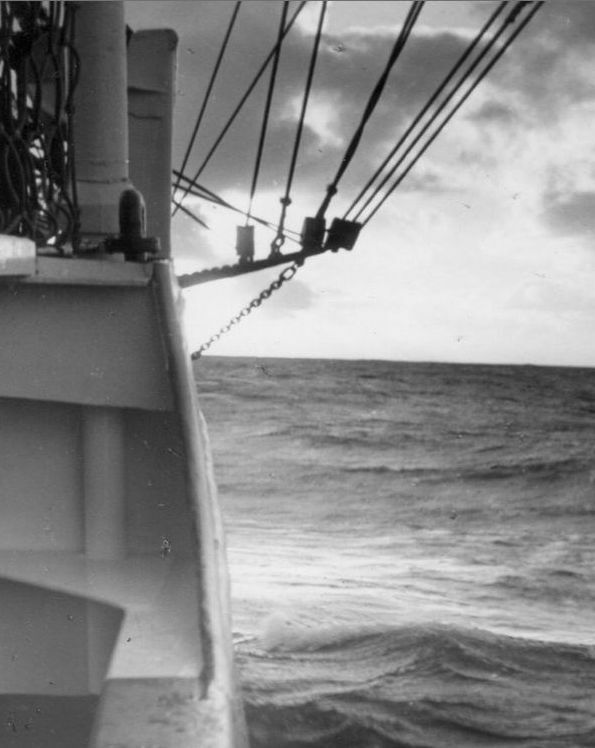 We finally got fresh provisions on board in Falmouth and set sail immediately. Now a few busy days were ahead of us, until we would arrive in Hamburg in early May. 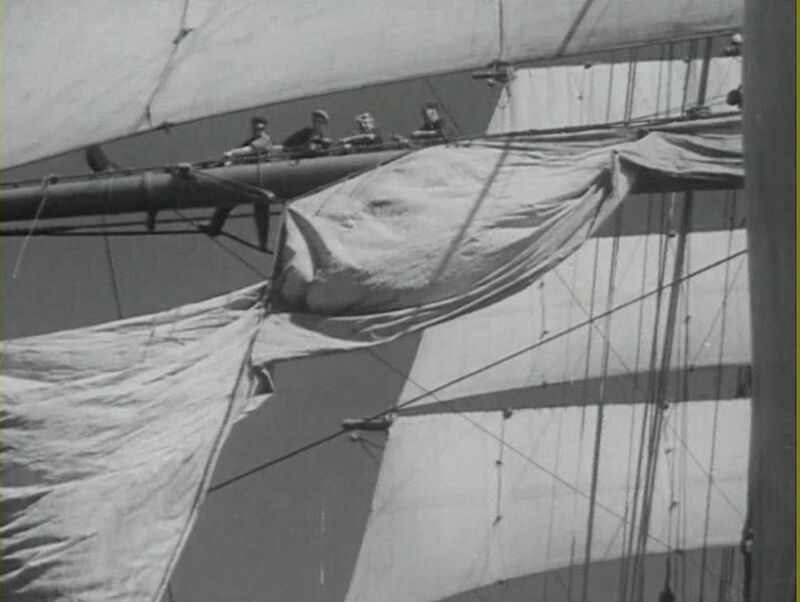 After the Russians had “jokingly” dragged us into a strong wind zone, we came swiftly to the harbour of Falmouth. Since 1600, there is a beer house (Ale House) in the harbour named “PENNY-COME-QUICK” what the radio operator knew from conversations with John, our Christmas-mail helper, on departure. For him, the radio operator had already collected the advance postage costs for the Christmas letters. 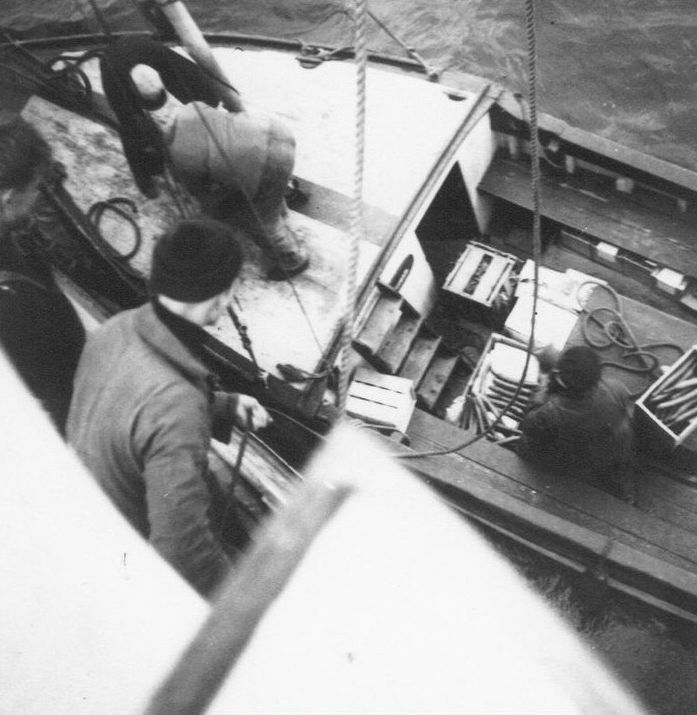 As we lay at the anchorage around 2pm, joy came up, because in a few moments a boat with food, a tank-boat with fresh water and a tanker with fuel would arrive. 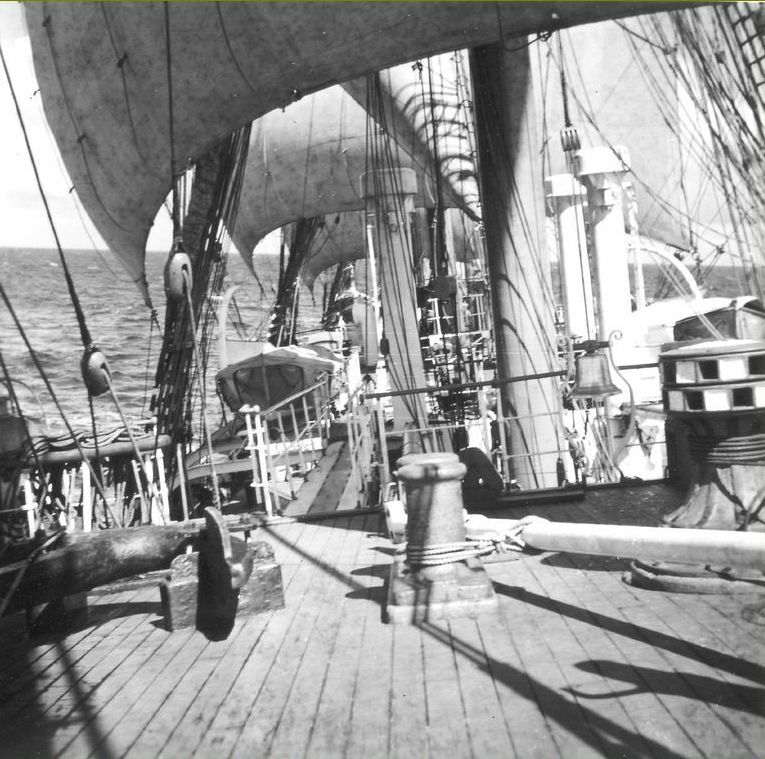 We had stoically been feeding ourselves, day after day, since crossing the equator, from our cargo and we were neither starved nor did we die of scurvy or lack of vitamins. Overall, we were feeling terrific. However, the prospect of fresh things, fresh eggs, fresh milk, fresh vegetables and a juicy steak was tantalizing. It seemed as if this was all that the day had to offer. No going ashore, no visit in the pub, no ale, not even a lager. Immediately after delivery of the goods we should sail that same afternoon. 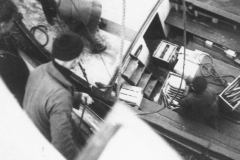 When the supply boats came, some sailors, kitchen and machinery personal, as well as the trainees were very busy loading things. Most of the crew was leaning against the railing and were probably bored just like me and found our short stopover disappointing. But then, John came on the scene and we were amazed: John came to visit. But how! We had not even noticed that something was going on, on the pier in about two kilometers distance. Slowly we realized that a balloon was being inflated! Our interest grew when we identified the balloon, which we had entrusted with our Christmas mail. We looked with excitement over there and suddenly saw the balloon float, leaving the pier. What dangled underneath and drifted toward us in the light north wind? Heavens! What a picture! Only ten meters of rope separated the balloon from the man who so skilfully steered the vehicle giving the impression he was walking on water. It quickly became clear that this could only be John! But how did he intend to land? 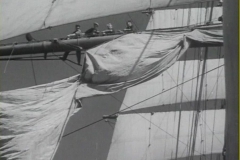 He could suffer serious damage if the balloon got into our rigging or even slam directly into the hull of our ship! Still, the man had thought of everything: about 500 meters before reaching us a motor boat came from behind and drove so close to him that he could take a small step to board the boat and let the balloon fly away. It disappeared immediately in hazy skies over the English Channel, the boat headed for us. John: The first noble mansion was built in 1385. Question: Are there particular myths and legends? John: Many. You should know, that in the Bay of Falmouth lives Morgawr, meaning „Sea Giant“. It is at least as large as the famous monster of Loch Ness, where I have a suspicion that the Scots think something what they can watch us in calm seas and hot summer times. 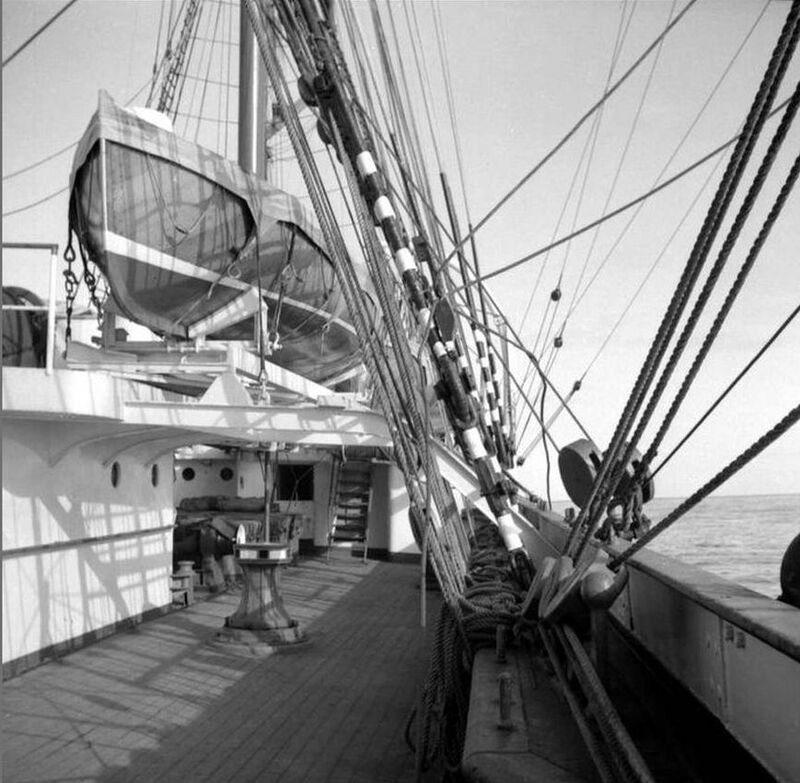 Question: Did you have help us with the Christmas mail because the Pamir has made the last cargo voyage with grain around Cape Horn and unloaded here? John: Also, many grain ships from Australia in 1949 have unloaded their cargo here. The reason is a different one: Falmouth from 1688 to 1850 was the only clean port in the Kingdom for all packages out or in. This brought prosperity to the town, but also meant a great responsibility. As steamships more and more took over this service, we placed the postal service buoy in the English Channel. Until recent years, we alone have offered the service, now in co-operation with the French. Since the post boy was not on position during your departure, I just thought it was OK to meet the request of your radio operator. This has worked out so well. I have enjoyed doing it, and at the next departure, you can use it again for your mail – as usual. I have not noticed any more questions. They needed me to tow provisions. When we were finished, and John came to the gangway, climbed on the provision boat, and then we bid farewell with good wishes and waving. 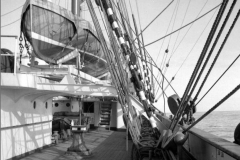 Immediately thereafter, order came: Set all sails, and we went to meet the night.